Dr. John Brackett offers a wide range of treatments to help you regain and maintain good oral health and a beautiful smile. When you visit Doc of the Bay, he will carefully examine your mouth and develop an individualized treatment plan to help you keep your teeth and gums in good health. For more information about general dentistry, and to schedule your appointment with our experienced dentist, please call us today at 251-981-2273(CARE). The best way to keep your teeth and gums healthy is to practice good oral hygiene at home. A thorough home care routine helps to keep your mouth healthy and prevent the development of tooth decay, gum disease, or other damaging conditions. When you visit our office for regular preventive treatment, our dentist and hygienist will review your dental hygiene regimen with you, and may make recommendations on how you can improve it. While you are with us, our team will work hard to improve your oral health. It is essential, however, that you continue taking care of your smile at home through consistent oral hygiene. Good dental hygiene includes a number of daily habits and practices that help to keep your smile bright and beautiful. Our dentist recommends that you follow these basic steps to keep your smile nice and beautiful. Brush your teeth after each meal or at least twice a day. We encourage you to use a soft-bristled toothbrush and toothpaste that includes fluoride. Floss at least once every day. The most important time to floss is just before you go to sleep at night. Eat a balanced diet. Limiting your intake of very sugary and acidic foods can help prevent tooth decay. Visit the dentist regularly every six months. During these visits, we will provide professional teeth cleaning and a thorough dental exam to find out if any preventive or restorative treatment is needed. When you visit our dental care team, we will review your dental hygiene habits and offer needed information on any additional steps you can take to improve your oral health. To learn more about dental hygiene and to schedule your next appointment at our office, we welcome you to call or visit us today. A visual exam to check your teeth and supporting structures. A periodontal exam to evaluate the health of your gums and diagnose any gum disease that may have surfaced. Oral cancer screening to detect any abnormalities in your oral tissues. Any X-rays or intraoral pictures that need to be taken, as well as any impressions or models that need to be prepared. Early diagnosis and treatment of periodontal disease, oral cancer, and other damaging dental conditions often make treatment easier and more effective. And we want to ensure that you have every advantage possible when it comes to your oral health. Please note that your new patient exam does NOT include a dental cleaning.We will review your results with you, and go over your treatment options at the end of your appointment. Our team is happy to deal with your concerns at any time, and we want you to feel confident that you are receiving the best treatment for your individual needs.If you have any questions about your new patient exam, do not hesitate to pick up the phone and call us. We will schedule your first visit to our friendly dental office. Your oral health is very closely connected to your overall health and wellbeing. At our office, Dr. Brackett and his team consider each treatment we provide in the context of your complete health to ensure that we provide you with a solution that will improve not only your smile but also your overall wellbeing and quality of life. If you have gum disease, Dr. Brackett and his team will design a customized treatment plan to combat the disease-causing bacteria in your mouth, and help you begin the process of regaining a healthy smile. There are a variety of treatments that we may recommend depending on the state of your mouth and the severity of your periodontal disease. Gum disease, also called periodontal disease, is a degenerative condition primarily caused by bacteria found in plaque. The bacteria inflame and infect the gum tissues, and when left untreated, can eventually cause the gums to pull away from the teeth. The untreated periodontal disease can result in bone loss, tooth loss, and gum tissue recession.If your gums are swollen, red, or tender, or if your gums bleed easily, you may have periodontal disease. Other common symptoms of gum disease include loose teeth, painful chewing, persistent bad breath, and receding gums that make your teeth appear longer than normal. Following an exam at our office, our dental team will be able to determine whether you suffer from periodontal disease or not. The treatment for gum disease is based upon your specific dental needs. Depending on the severity of the condition, our dentist may recommend additional professional dental cleanings, improved at-home oral hygiene, antibiotic treatment, scaling and root planning (deep cleanings), or gum surgery. We strive to help you restore your oral health and halt the progress of the disease. For more information on periodontal treatment, we welcome you to call or visit our office soon. We look forward to caring for your smile! As you age, your teeth, gums, and mouth will age with you, and your dental needs and concerns may change. Dr. Brackett offers senior dentistry to help you maintain a healthy mouth and smile during the later stages of your life. The physical changes in your mouth that occur as you age can put your teeth at greater risk of developing tooth decay, periodontal disease, or other problems. Your teeth and smile may also deteriorate gradually due to decades of daily “wear and tear” on your teeth and oral structures.Some of the common dental problems that seniors face include the following. 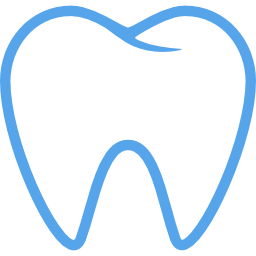 Systemic conditions that affect your dental health (such as diabetes, heart disease, etc.). When you visit our office, our staff will perform a complete exam of your mouth. This includes checking your bite, joints, teeth, gums, and other soft tissues. If you have replacement teeth, such as dentures, we will also examine your appliance to make sure that it fits and functions properly. If needed, we may recommend adjustments or repairs to the appliance to ensure that it continues to meet your needs. If you are a senior, we want you to enjoy a healthy smile as you age, and will do everything we can to help you maintain good oral health.Please call us if you are interested in learning more about senior dentistry. Schedule your appointment with Dr. Brackett today. Jaw joint dysfunctions can cause significant pain and discomfort and have a negative impact on the quality of day-to-day life. When you visit Doc of the Bay, our dentist will carefully evaluate your jaw in order to determine which type of TMJ treatment will be most effective at helping you regain proper jaw function.The TMJ is the temporomandibular joint or the joint that connects the lower jaw to the rest of the head. The term “TMJ” is often used to refer to TMJ disorder, also called TMD, which occurs when the jaw joint becomes stressed, injured, or misaligned. TMJ disorder may result due to several different factors such as stress, bruxism (teeth grinding and clenching), arthritis in the TMJ, or trauma and injury to the head, neck, or jaw. You may suffer from TMD if you experience frequent jaw pain or facial pain. TMJ disorders may also cause the following. Grinding, clicking, or popping sounds in the jaw when you open and close your mouth. Inability to open your mouth wide for speaking or chewing. A locked or stuck jaw. Pain in the jaw when chewing and biting. Pain in the neck, shoulders, or ears. Our dentist can help you determine the cause of your TMJ disorder and recommend appropriate treatment. Treatment for TMJ will depend on the cause and severity of your TMJ disorder. TMD treatment may include jaw and facial relaxation exercises, lifestyle changes, restorative dental treatments, a mouth guard or night guard, or jaw surgery. To learn more about TMJ treatment and to schedule your consultation with our dentist, we encourage you to contact us today. General dentistry encompasses a number of dental treatments that are aimed at helping you achieve and maintain optimal oral health for a lifetime. Whether you simply need to schedule your next dental checkup or you are in need of a more complex restorative treatment, we are here to take care of you. Our experienced dental team will be pleased to provide comprehensive general dentistry at our office. We encourage all of our patients to visit us at least once every six months. During these routine appointments, we will provide a thorough dental examination to make sure that your smile is in good health. Based on the results of your exam, we will recommend any preventive or restorative treatments that you may need to improve your oral health. Depending on your individual dental needs, you may need to come to our office more often in order to maintain a healthy smile. If you notice any type of dental pain or damage, or if you experience a dental emergency, we urge you to contact us as soon as possible to receive the highest quality dental care. To learn more about our dental services and to schedule your next visit to our friendly office, we welcome you to contact us today. We are eager to care for you!